It’s the season to be planting bulbs. Many gardeners get fixated on the old standards—tulips and daffodils. Yes, there are many amazing varieties of both, but maybe this is the year to branch out. 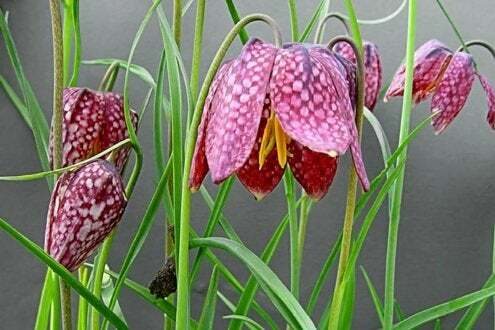 Here are five overlooked bulbs to get in your garden now. 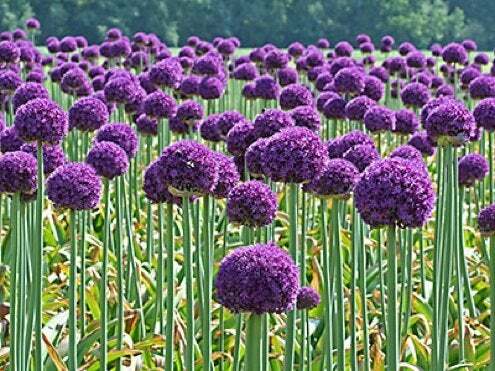 The great purple globes of Ornamental Alliums add structural interest and height to an early summer border. The deer-resistant bulbs are easy to grow and drought-tolerant—they even multiply naturally year after year in most zones. The only difficulty is choosing just one of the hundreds of available varieties! 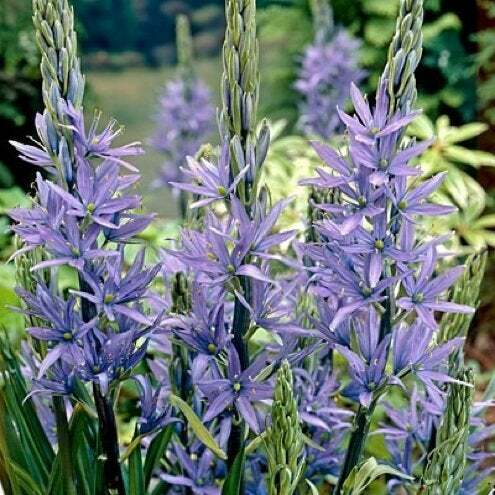 Camas Lily bulbs were valued by Native Americans for their sweet taste, but if you plant them (instead of eating them), your garden will have tall stocks of star-shaped purple or white flowers with lovely contrasting yellow anthers. Camas Lilies need to go in about five inches deep. 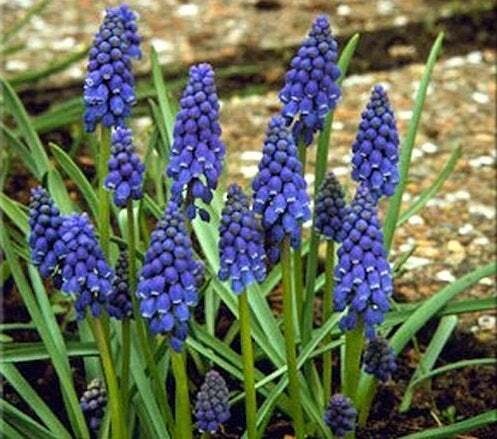 Delicate Grape Hyacinths (Muscari) can create a stunning blue carpet in spring when planted in multiples. The small bulbs need just about three inches apart and should be placed in well-drained soil, full sun to partial shade. Sure, Fritillaria Imperialis gets a lot of credit for its tall stock and imposing presence, but there’s also something precious about a cluster of these flowers peeking up from the grass come spring. The bell-shaped blooms appreciate moist soil and can grow in light woodland settings. 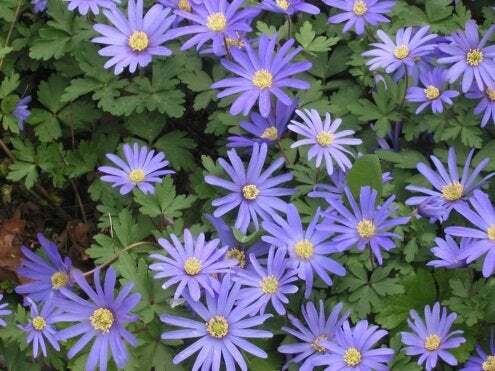 Varieties of anemones that come from a tuber—Anemone blanda, for instance—can be planted in the fall. The Grecian Windflowers make a statement when planted en masse. Soak the bulbs for two hours in lukewarm water before planting.